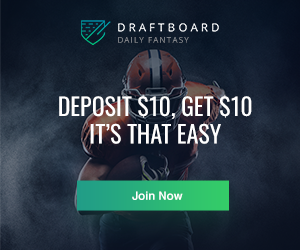 As the New Year has finally come, and fantasy football is over, at last, fantasy baseball draft season is right around the corner. 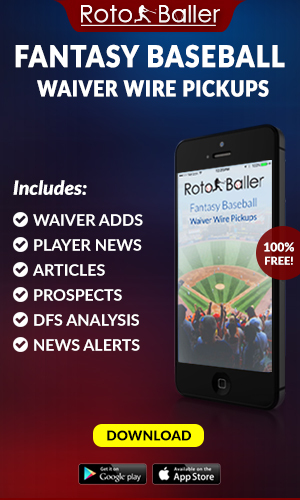 With that comes mock drafts, draft previews, ADP analysis, and of course, player recommendations. 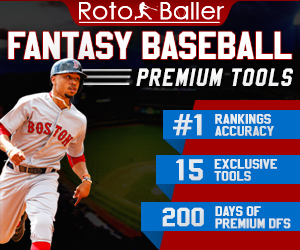 This article will help owners get ready by looking to the American League All-Star team of rookies to target in 2019 redraft leagues. These players will have cheap ADPs, but reward owners with valuable returns. A few notes about drafting rookies before jumping into the players themselves: first, with every rookie that has high upside, teams will be ready to stash those players in the minors until they can add an additional year of service time. This means that for every rookie drafted, owners should make sure that they add a cheap cover option for the position until May or June. Second, with every rookie, the fact that they have option years means regular trips to the minors might happen. This primarily affects pitchers but has been a growing trend with hitters as well. Not only should owners already have a cover, hence recommendation one, but also should not be motivated to drop players right away. They can be back within a week or two, and often are. With that read along and add these players to draft lists and targets. With rookies comes great upside but also a significant risk, but that is what can win owners titles. Projected as the Tigers’ starting backstop to enter the year, Greiner should be an easy stash in most drafts due to the lack of name value. He did appear in 30 games for Detroit last year, but the upside comes from his time in the minors. On each step up the ladder, Greiner posted a plus 100 WRC+ and flashed the power with 14 homers in 98 games last campaign. As with any power-hitting catcher, the K rate might give owners some pause, but throughout his time in the minors, the rate sat right at, or below, 20 percent. This means that the 27.6% with Detroit is either the ceiling, or a small sample concern, and should not scare away owners at this price. The other reason to target Greiner is that the Tigers do not have much else to put behind the plate, and when catching is a wasteland this year, Greiner should pick up the counting stats without destroying the batting line. At his current ADP of 651, this is a fair price that will pay off with better than expected productive plate appearances. The Angels seem to have a few options at first, but none inspire confidence. This means that owners should look to the minors and the polished bat of Thaiss as the in-house upgrade. Finishing the year at Triple-A, Thaiss slashed .277/.328/.457 with 10 homers and six steals in 85 games. The knock on Thaiss has been the lack of power, as can be seen by his mediocre minor league homer numbers, but there has never been a concern on the overall batting profile. With 24 doubles in those 85 games and the .277 batting average, there is a productive hitter here. Also, Thaiss had shown that he does not need loft to drive in runs with the best of them. Add to that a sub-20 K rate, and Thaiss makes up for the production with other skills that set him apart at the position. His quickest path to playing time would be Justin Bour struggling out of the gate, or, sadly, Shohei Ohtani not getting to play due to the TJS, and therefore opening the designated hitting spot. Even if he has to wait a bit, the 732 ADP makes this a no-brainer when looking at the potential production. Tampa Bay will be an interesting team to watch this season for fantasy owners, mainly based on their flexible players, and willingness to experiment. Solak fits this mold, and with the ability to play a solid second and outfield for the team, looks to play much like past Ray Ben Zobrist. Joey Wendle blocks him at second, at least regarding a regular spot, but this should not put owners off from the raw skills. Also, compared to similar players, such as Brandon Lowe, Solak seems to have a bit more of a glove in the outfield, giving him an extra reason to stick with the team. Finishing the year at Double-A, Solak slashed .282/.384/.450 with 19 homers and 21 steals in 126 games. Add in a 12% BB rate, and this profile is a boon with the OBP numbers as well. While owners might have to wait a bit for Solak to jump to the Bigs, the payoff should be there with a solid contributor, that, with extra positional flexibility, can offer a nice injury buffer as the season grinds on and players hit the disabled list. Solak is currently being drafted with an ADP of 736 but has a profile that can appear sooner rather than later with the Rays. Guerrero is the "easy" pick on the list and should not be a surprise to any fantasy owner. In fact, for a rookie, perhaps, even a first-round pick in some leagues. If owners want him, they will need to pay for the hype, and maybe, take him earlier than they should, hence the first round grade. The knock on Guerrero will be the question of playing time, as the team should at least hold him at Triple-A to grab an extra year of control, which might cost owners a month or so of playing time. And yet, even with that taken into account, this will be the best rookie in the Majors by some length and should make up for that time away handily. After hitting over .400 in 61 games at Double-A, Guerrero continued to mash at Triple-A, slashing .336/.414/.564 in 30 games. A strong Arizona Fall League also assuaged any lingering fear about the injury and set the hype train up to run this draft season. Gordon makes the list a bit on merit, and a bit from the fact that there is a gap in shortstop right now. Players like Willy Adames have already broken the rookie barrier, and others, like Bo Bichette, are still a bit too far from the call-up. Still, Gordon is a player to target, and with the Twins still being in flux, should get a chance to make an impact this year. Finishing the year at Triple-A, Gordon did struggle a bit, slashing .212/.262/.283, but still flashed the speed with 13 steals. An average to an above-average fielder, Gordon will stick at shortstop long-term and looks to be a contact-first hitter, who can run into some power. The chase rate is the issue, with a plus-020 K rate being too high for this hitting profile. Still, if he makes the Majors this year, Gordon should score runs and steal bases, with the upside for a bit more. Gordon’s ADP of 715 reflects the industry consensus that he is stuck in the minors for most of this year, but with an injury or suspension, the Twins are not a team prone to going outside the organization for a replacement. Baltimore will be the spot to go to this year for rookie appearances, as the team is set to lose 100 games for the second year in a row. Stewart offers the fantasy silver lining and is projected as the starting left fielder to begin the campaign. In 17 games last year with the Orioles, Stewart only hit .250, but it is the power and speed combo that makes him interesting for fantasy owners. In 116 games at Triple-A, he hit 12 homers and stole 11 bases, after posting a 21/20 season the year before at Double-A. While owners might need to settle for a sub-.250 batting average, the counting production, especially in the bandbox that is Camden Yards, will make this a top rookie to watch. The other good mark is that he looks to be at least league average for plate discipline, and has posted double-digit walk rates in the minors often. This means that the K rate might not be that bad for this profile giving him a decent floor for the corner spot. Stewart is currently being drafted with an ADP of 637, but might end up being a top-250 player when all is said and done. The other “easy” pick on this list, Jimenez might be the second-best hitting prospect in baseball behind a certain third baseman. Last year, the outfielder hit over .300 at both Double-A and Triple-A and seemed to only be held back for service time concerns. The power was there with 22 total homers in the minors last year, but little-to-no speed since he moved to the White Sox organization from the Cubs. Even if owners are drafting him just for the bat, this is still an elite rookie, with immediate impact potential. Like Guerrero Jr. though, service time might again be a factor and keep him in the minors for up to a month. What does stand out, and makes the wait worth it, are the elite plate skills, fueled by a sub-18 K rate and .399 OBP in the high minors. Jimenez is the future for the White Sox, and when he makes the team, he will be a fantasy asset that is worth owning in all formats. With the signing of Michael Brantley, the outfield is a bit crowded in Houston, and why this spot is not going to Kyle Tucker. On all accounts, Tucker is the better player with the bat, but Straw offers something different with his glove and speed. Last year, over two levels in the minors, Straw stole 70 bases and chipped in 95 runs for good measure. Not an elite contact hitter by any stretch, Straw looks to have a .260 floor on the batting line though, keeping with a spot on the bench at the very least. He walks in the double-digits and has a low K rate, so there is nothing more for Straw to prove in the minors for the Astros, meaning that he should be in the conversation to break camp with the team. The other reason to look at Straw is that his main competition for a roster spot is Jake Marisnick who has struggled over the past two seasons. Straw is an excellent late-round dart that could pay off with elite speed numbers to add to some run production. While not a starter, if the Astros play him like they did last year, he can produce with speed numbers off the bench to match most starters in the league. After looking solid in 16.1 innings last year, a slight injury took Buttrey out of the bullpen to finish the year. Assuming a full recovery this offseason, Buttrey should be in line to start as the primary closer for the Halos next year. Boasting elite stuff, this is the type of pitcher that can hold down that role, but also has a history of starting in the minors, so might be able to add some length as well. 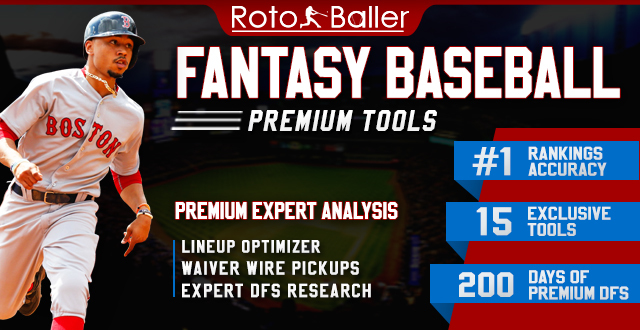 The calling card is the stuff, with 11.02 K/9 with Los Angeles after moving over from Boston for Ian Kinsler. The fastball is plus plus according to Fangraphs, and he throws a plus changeup to balance out a 45-grade slider. There are no red flags looking at his numbers in the minors, as a sub-three walk rate is a norm with under a homer per nine innings as well. The key will be the role as if owners are looking to go cheap on saves; this is the primary target who can expect to play on a decent team. With the Mariners in the midst of a soft-rebuild, Sheffield seems to be one of the young arms with a real shot to make an immediate impact. After coming over for James Paxton, there is a lefty-sized hole in the rotation even with the signings of Yusei Kikuchi (covered below). Sheffield has always been known for his arm, but questions are still there over the control that he might show on a consistent basis. Starting the year at Double-A, Sheffield posted a 12.54 K/9 with a 2.25 ERA but saw the Ks drop after a promotion. At Triple-A, he only posted an 8.59 K/9, but still managed a 2.56 ERA. While it would be surprising to see him break camp in the rotation, he should be the first name up as needed to cover injuries or struggles. Perhaps this is not even an RP option in some leagues based on how he is used and might double with Kikuchi. Whatever the case, the stuff plays and should offer enough upside to keep him viable in fantasy baseball until he has a firm roster spot. Going back to the South Side for this selection, Banuelos looks to be in the starting rotation for the team to start the season. He is older than the typical rookie and already has 26.1 innings to his name from time with the Braves. He has bounced around and pitched for the Dodgers at Triple-A last year, before joining up with Chicago this offseason. Banuelos has a live arm, with 10.52 K/9 last season, and multiple seasons with at least nine in the minors. The risk has been the walk rate, which sat at 3.48 last season. Still, the ERA was a respectable 3.73, and he has a few sub-three years in his career as well. The other key mark is that he does not give up that many homers, as a 0.83 HR/9 mark is the highest level in a few seasons. Banuelos seems to be the type of pitcher who, with time, can put it all together, and with the team planning to struggle, should not be rushed out of the spot. The raw skills are there, and there is enough to bank on for a stash, especially with a roster spot to start. This is the big name that most fans with have heard of, but do not know much about as he enters the Major Leagues. The first thing to note is that he does not have the ceiling of Othani, but still serves as a good middle of the rotation arm if this all comes together. One reason to fade just a bit will be the workload, as with Japanese pitchers typically getting an extra day or two of rest between starts, Seattle will be careful about how often they throw him. This means that either he will not pitch deep into games and lose out on wins, or will not get as many gross starts, limiting his innings either way. The one good sign is that many Japanese pitchers add a bit of velocity due to the bigger ball that is used in the States, and this would put Kikuchi in the mid-90s, which would play up well. Concerning comps, this writer has heard anything from a lefty-Kenta Maeda to a pre-breakout Patrick Corbin. 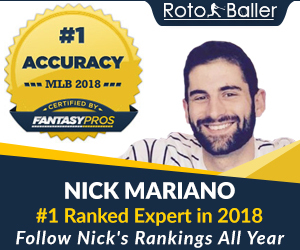 Rotoballer has him ranked as the 81st starter, so draft accordingly.